Rt. 17K & Stone Castle Rd. 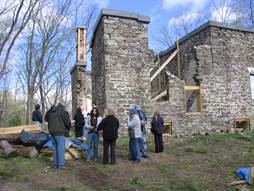 Membership drive: become a member of the Coldengham Preservation and Historic Society. Take a free tour of the grounds, learn about the family history and the flora and fauna. Tours led by Town Historian Suzanne Isaksen and former Historian Robert Williams. Refreshments will be served under the tent.